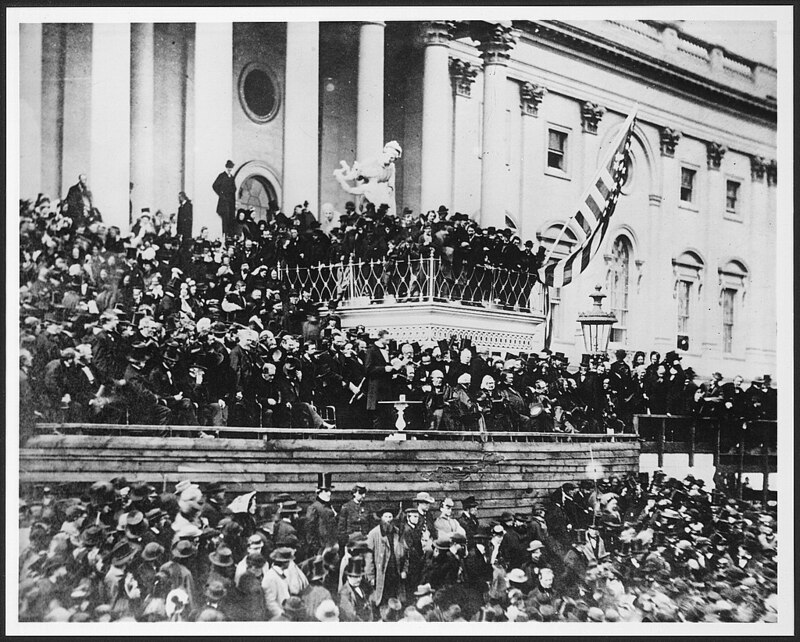 Commemorating Lincoln’s second inaugural in Washington, D.C. The U.S. Capitol will host a celebration of the 150th anniversary of Lincoln’s second inaugural on March 4. Stephen Lang will deliver the same speech Lincoln wrote for his 1865 swearing-in, and the event will also feature remarks from Congressman Ray LaHood, historian Edna Greene Medford, and prominent Lincoln authority Frank J. Williams. Last night I received letters from different persons at Washington assuring me it was not improbable that Justin Butterfield, of Chicago, Ills, would be appointed Commissioner of the Genl. Land-Office.…Mr. Butterfield is my friend, is well qualified, and, I suppose, would be faithful in the office. So far, good. But now for the objections. In 1840 we fought a fierce and laborious battle in Illinois, many of us spending almost the entire year in the contest. The general victory came, and with it, the appointment of a set of drones, including this same Butterfield, who had never spent a dollar or lifted a finger in the fight. The place he got was that of District Attorney. The defection of Tyler came, and then B. played off and on, and kept the office till after Polk’s election. Again, winter and spring before the last, when you and I were almost sweating blood to have Genl. Taylor nominated, this same man was ridiculing the idea, and going for Mr. Clay; and when Gen: T. was nominated, if he went out of the city of Chicago to aid in his election, it is more than I ever heard, or believe. Yet, when the election is secured, by other men’s labor, and even against his effort, why, he is the first man on hand for the best office that our state lays any claim to. Shall this thing be? Our whigs will throw down their arms, and fight no more, if the fruit of their labor is thus disposed of. Lincoln’s opposition to Butterfield was rooted in his desire to strengthen the Whigs in his home state of Illinois by assuring loyal members that their efforts on the party’s behalf would be rewarded. Historian Thomas Schwartz examined this episode in a 1986 article for the Journal of the Abraham Lincoln Association, which you can read here. In his latest project, The Address, the acclaimed filmmaker focuses on Lincoln’s most famous speech and the efforts of a group of young students to memorize and recite it. Burns recently talked to National Geographic about the documentary, which premieres April 15 on PBS. The subject of the letter was probably Thurlow Weed, a newspaper publisher and politician who ultimately opposed the president’s emancipation policy.